When I was a small child one of my uncles used to have a train set going around his Christmas tree, I use to think that it was the most magical thing ever. I always wanted a one of my own and when I had my own children I vowed to get a one, although I have never actually got around to getting a one yet. 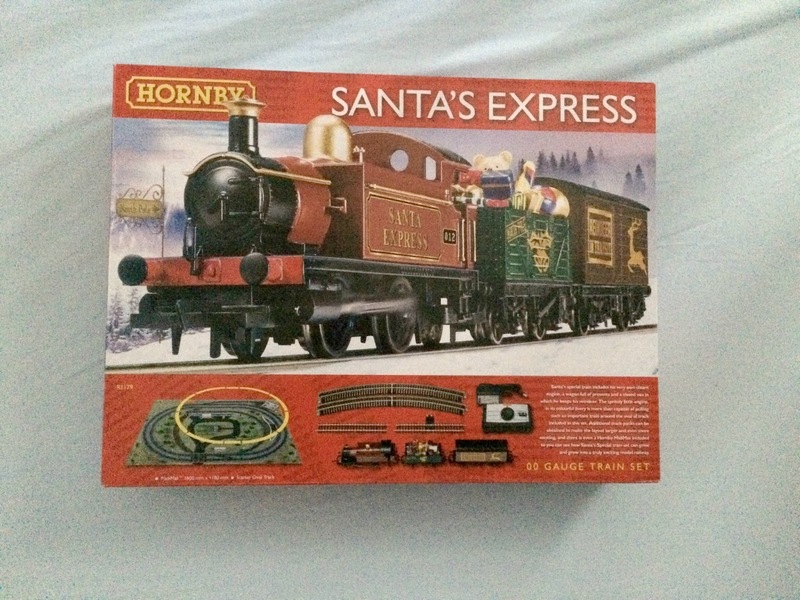 Last week that changed when Hornby kindly sent us their Santa's Express train set to review. 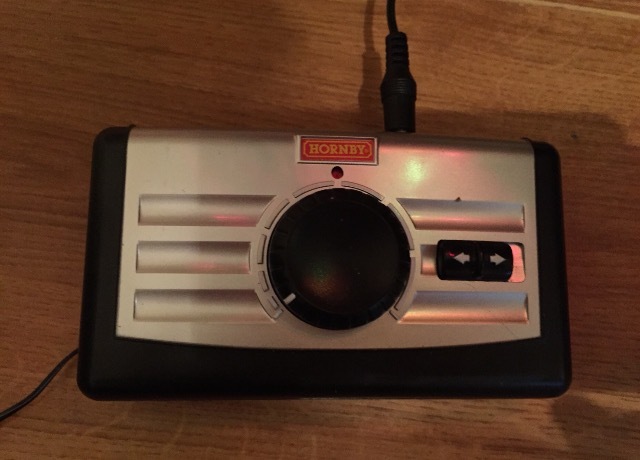 My brother used to have a Hornby train set when he was younger which he spent hours playing with, so I knew that they were a great brand who make quality train sets to last. When the set arrived everything we needed was included in the box, it contained a three-piece train, lots of track, a control and even a mat that you can use to place your train on if you prefer. We set the track up around our Christmas tree and it is quite a big oval shape that goes right around the tree and still has lots of room for presents to go under the tree with the track going around them. Setting up the track was really quick and easy as it just clips into place and then you plug in the controls which also connect to the track to give the train power. 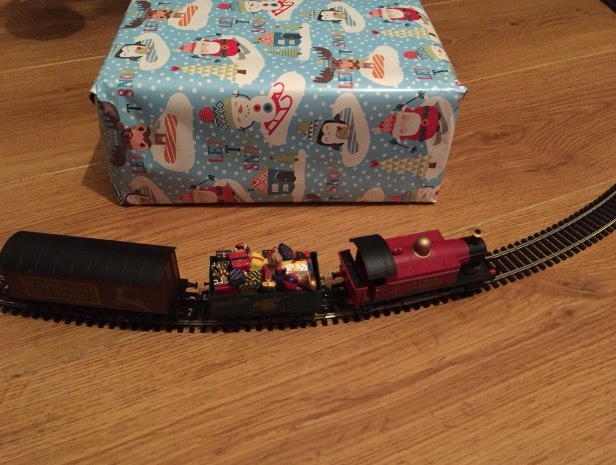 The track was set up and the train was chugging around within a few minutes of opening the box, it really is that quick and easy. Making the train go was also very easy as you just place the train and carriages onto the track and use the dial on the control to make the train go and to adjust the speed and direction of the train (it can go forwards and backwards). The Santa's Express train set really is as festive as I thought having a train around your tree would be and my children absolutely love it and are amazed by it. Having the train set around are tree really makes the tree that bit more special and is a real focal point in our lounge now. The Santa's Express train set is extremely well made with lots of attention to detail to the carriages. 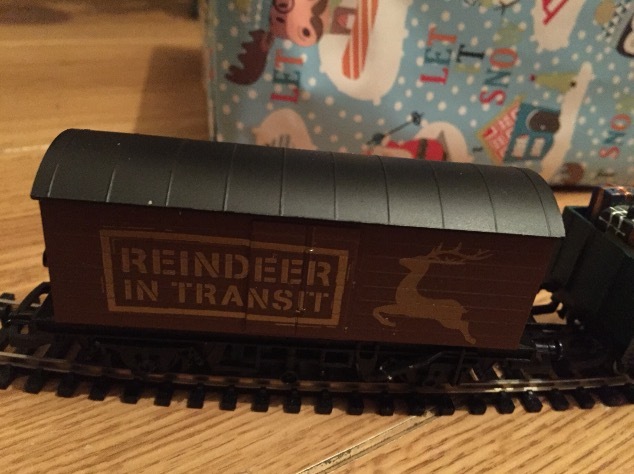 I love that they have such a festive feel to them with one of the carriages filled with Christmas gifts and the other stating 'Reindeer In Transit'. We have had great fun playing with this train set (mainly the other half) and I think we will defiantly be investing in a few more sets once my little boy Jacob is a little older as he adores choo-choos. 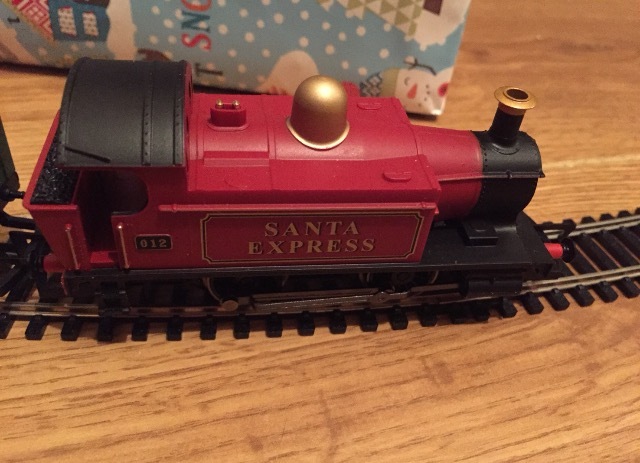 I highly recommend Hornby Santa's Express train set as it is well made, looks magical under a Christmas tree, is lots of fun and adults and children will all love this charming set. 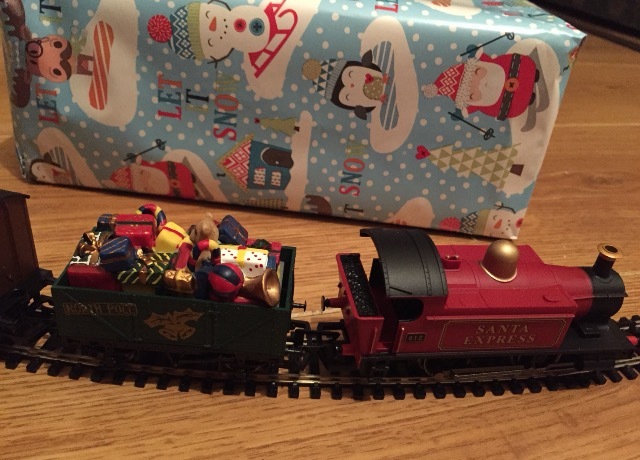 I know that this is something that we will be using for many more Christmases to come and is something that I know my children will be excited about every single year, as even as a 32-year old I think the Santa Express is truly magical and certainly makes our Christmas tree extra special this year. You can buy your own Santa's Express from Hornby priced at £69.99. Disclosure We were kindly sent this product free of charge for the purpose of this review, however, all opinions are my own. I had never thought about putting a train under a tree! How magical I bet the kids love it - it wouldn't be safe with my 8 month old. Not sure how safe it would be with my 3 year old! That's awesome! It also reminded me of a movie from Home Alone. It also adds that special touch under the tree for effects. It makes it more magical for Christmas.